Dementia has earned two Indian researchers, the Gandhi International Fellowship Award in London. Both have done extensive work in the field of Dementia; their studies focusing on fundamentals of cognitive functions like memory, language, and executive functions.Their research was presented at the mid year meeting of the International Neuropsychological Society in London. The two Indian recipients are among the 10 researchers who have been felicitated with the Lord Meghnad Desai Award in the House of lords. Dr Ratnavalli Ellajosyula, Founder, Cognitive Neurology Clinic (CNC) in Bengaluru, has set up the clinic after having served at the Department of Neurology at the National Institute of Mental health & Neurosciences (NIMHANS) for a decade. Multilingualism and Dementia, breakdown of memory and mechanisms and neural substrates of language being her research interests, Ms. Ellajosyula has carried out research in stroke and cognitive neurology. Dr. Ellajosyula also heads the Memory Clinic at Manipal Hospital. The second recipient Nidhi Dev is a Neuropsychologist at CNC. She has conducted research projects on epilepsy in children and adults. Ms. Dev treats patients of dementia, epilepsy and children ailing from neurological disorders. 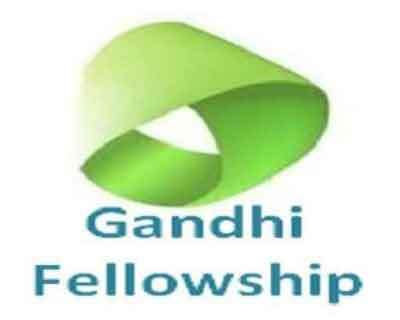 The Gandhi Fellowship Award was initiated by Dr. Narinder Kapur, a UK based neuropsychologist.